West Coast Awnings Services inc.
Lattice pergolas and aluminum patio covers are the right choice to enhance your backyard space even more in Sacramento. All our patio covers are manufactured from top quality materials that is tough and durable and requires minimal maintenance. Take a look at some of our fantastic products below. What are the benefits of Aluminum patio covers? 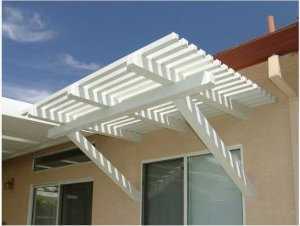 Aluminum lattice patio covers can be the perfect "happy medium" when it comes to outdoor patio covers. WC Awnings supplies custom and premium quality aluminum lattice patio covers according to the customer needs and requirements in Sacramento. 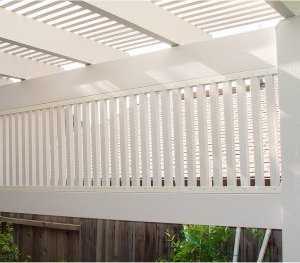 These open lattice covers offer the exact amount of shade for your house. 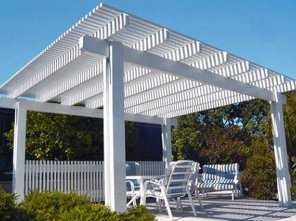 Open lattice patio covers are the perfect option which provide flexibly and are designed to fit any space in Roseville. 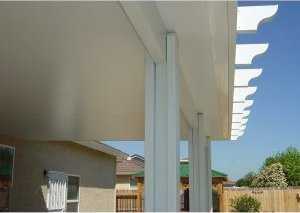 Weatherwood Patio Covers extend your living space by adding more useful space to your backyard. 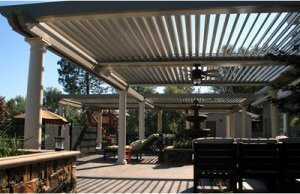 The Valley gets super-hot during the summer months; consider adding a solid aluminum patio cover in Sacramento. The solid cover is complete with a full gutter and downspout system to keep the weather away from where you live. Your new aluminum patio cover will protect any outdoor furniture, plus interior items such as draperies and fabrics from fading. As a result, those items will provide years of additional use. Even on a rainy day, you can sit outside and enjoy the fresh, crisp smell of the rain. The possibilities are endless; you can either choose from one of our designs or you can have a custom design patio cover that will fit your particular unique setup. Not only will an awning in Sacramento add some much-needed protection from the sun it will also enhance the beauty of your outdoor space. For the very best in outdoor living consider our Insulated Weatherwood IR3 patio cover. Fully insulated with 3" insulation it will provide additional protection from the sun and elements. The Solid Insulated IR3 Patio Cover has UL approved raceways, allowing for fans or lights in the ceiling. You can turn your backyard into a true extension of your home. Our Design Consultants can help you come up with the perfect solution for your backyard. Plus, you can convert your cover into a room at a later date. 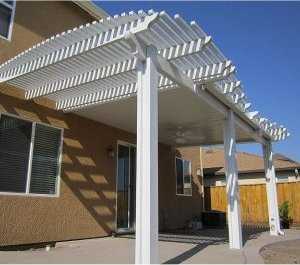 West Coast Awnings offers the Best in Shade and Weather Protection. We can help you get very creative with a cover that offers the flexibility of Lattice and the practicality of a Solid weather-protected cover. The Combination Cover provides a more open feel for the summer and a dry space to be outside in the winter! Keep your outdoor furniture protected and BBQ all year-round. The local weather here is perfect for the combination Patio Cover because the awnings in Sacramento need to be versatile and flexible. 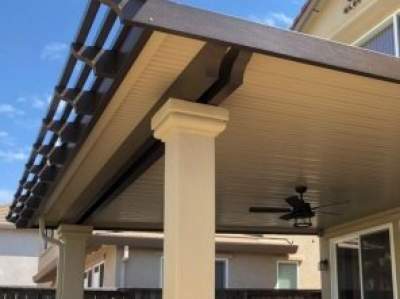 The awnings in Sacramento need to provide us with some sunlight but also shade and protection from the elements, that's why a combination patio cover is ideal and the best solution with a little bit of both! Ask our Design Consultants for details, we will work with you to find a great solution for your backyard dream! Help cut the cost of heating and cooling your home by installing an outstanding energy savings product; the Aluminum Window Awnings are probably among the greatest values for any home! Awning Made from Aluminum low Maintenance, will not warp, rot or rust. Patio Privacy Walls are aluminum awnings or walls that will give you more privacy and shade as well as close off areas from your neighbors and provide you with a more intimate private area. The privacy walls can be attached to existing fences and or be stand-alone structures strategically placed to give you the most effective privacy or shade. With these aluminum awnings or patio privacy walls, you can definitely add that high-end look and custom design to your yard! Have the ability to control your shade and sun with the touch of a button with this great product we offer! The louvered awning in Sacramento is the perfect solution for our incredible sun in the summer and our wet winter months. The Apollo System provides you with the protection from the rain and lets just the desired amount of sun in when you want it! It can be integrated with any other style of aluminum awning we offer such as the Solid Insulated IR3, the Solid Non-Insulated, or the Lattice Patio Cover. Just ask us for more options and we can design your dream patio that will be perfect for your family's needs! 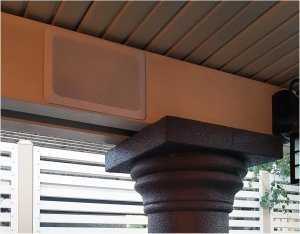 Enhance your outdoor experience with 2 Polk flush-mount Speakers installed right into your patio cover beam. Speakers come with in-wall Bluetooth Audio Receiver and Aux Input Module.